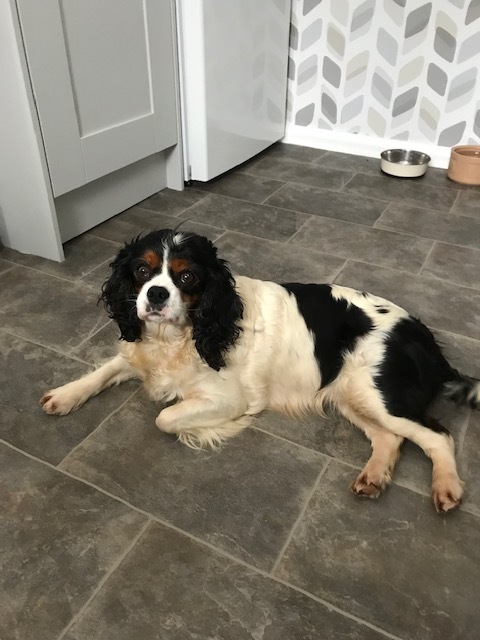 This is Molly, a 3-5 year old Cavalier who is an ex breeding female. She is a very affectionate dog that would be suited to live with another dog or with people that are around most of the time. She has started to enjoy her walks and likes to meet other people and their dogs. She equally loves to be with you at home having a cuddle up on the sofa. Molly also travels very well in a car. For more information please call Helen on 01444 400371 between 9 am and 6 pm. If she doesn’t reply, please leave a message and she will call you back.